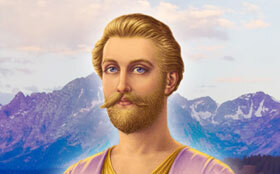 Who is the Ascended Master Hilarion? What does he have to do with the apostle Paul? How is he involved in the search for Truth? What is the real meaning of “conversion”? Why do agnostics deny God? 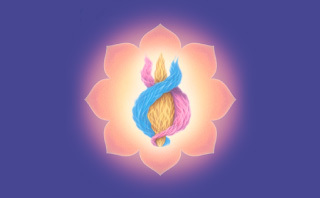 What is a mantra used to discover Truth for yourself? Hilarion is none other than the apostle Paul, now the Ascended Master Hilarion. He did not ascend at the conclusion of his life as the apostle. In his final incarnation he was Saint Hilarion. Hilarion lived between 290 and 371 and was the founder of Christian monasticism in Palestine. He was a renowned healer who spent twenty years of his life as a hermit in the desert. Throngs of people would come to him for healing, yet he desired to be only the humble, unobtrusive servant of God. Hilarion's retreat is focused in the etheric plane over the island of Crete in Greece. There he serves with the ascended lady master who is known in Greek mythology as the goddess Pallas Athena. Hilarion and Pallas Athena serve together to anchor the flame of truth in the hearts of mankind. That flame of truth was anchored on Atlantis. Just a short time before the sinking of the Atlantean continent almost twelve thousand years ago, Hilarion was bidden by God to transport the focus of that flame and the artifacts of the Temple of Truth to what is now Greece. 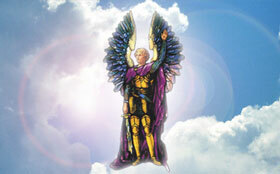 The focus of truth that Hilarion established became the focal point for the oracles of Delphi. These were the messengers of truth who served under the direction of Pallas Athena as priestesses in the temple. Eventually there was an invasion of the Delphic Order by certain black magicians who perverted the truth. The Great White Brotherhood then withdrew this dispensation from embodied mankind. It was one of the last episodes in the direct interaction of the ascended masters with unascended mankind. What does the apostle Paul have to do with truth? You will remember the conversion of Saul on the road to Damascus when Jesus appeared to him in a great light and said, “Saul, Saul, why persecutest thou me?” Saul fell to the ground and Jesus told him to go into the city and it would be told to him what he should do. When Saul rose he was blinded and did not see, eat or drink anything for three days. This blinding of Saul and his subsequent renaming as Paul was the act of conversion. Jesus has taught us, “Except ye be converted and become as little children, ye shall not enter into the kingdom of heaven.” This conversion, is a scientific process. Conversion, then, is the moment of the swing of identity back onto the road of God, the displacement of error by the reestablishment of the flame of truth within one's being. When truth comes unto us suddenly as it did unto Saul, who was a sinner and who had persecuted the Christians, it causes our sin to precipitate out upon the body. Hence, Saul was blinded by his own misqualification of God's energy; the presence of Jesus brought the light as well as the judgment of his misdeeds. When Saul was raised up by Jesus and by that flame of truth, he became Paul, a great preacher of the Word and truly the one who established throughout the Holy Land and Asia Minor the foundation of Christianity. First he humbled me on that road to Damascus, the humbling that I sorely needed that I might bow to my own Christ flame, which he revealed to me as he also gave to me the key of meditation upon that flame that I might walk in his footsteps on the fifth ray of science and healing and the apostleship and the preaching of the Word. Hilarion teaches his disciples how to use the flame of living truth to master oneself and one's daily life in a practical application of the law that Christ taught. As you know, the apostle was a fiery preacher of righteousness and he had the gift of the Spirit and the gift of conversion. He teaches us today of this process of conversion, which is so necessary because it is the return of the soul to God, the reentering of the path of initiation. Hilarion says that in the moment of conversion there is the infiring of the name of God, your own new name. It is the solar pattern of your solar evolution. He teaches us meditation on the name I AM THAT I AM that we might also contact the inner name and the blueprint of the soul. 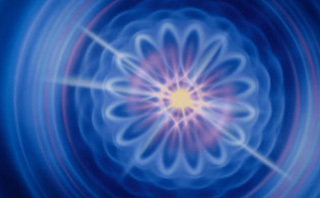 Contacting this, we then have the key to the release of the energy of the science of being. How is one converted, Mrs. Prophet? Where is the place of will in conversion? Conversion implies a will—a will forged and won within your heart, the very center of your identity. It is a will that magnetizes a member of the ascended hosts who will respond to the call of your heart for the teacher. That one will then come and invest you with that magnet, that flame, that fiery coil, that momentum that is able to reverse the course of death and destruction. It doesn't appear that Saul was seeking conversion. How do you explain his conversion? Jesus came to Saul to remind him of their inner association and of their long service together thousands and thousands of years before that particular moment. And therefore he said, “Why are you persecuting me?” His inference was: When we have been one in Christ for so long, how have you gone out of the way? Saul had actually sought the Christ in previous incarnations but in that life he had disregarded the inner call of his soul for God. To a great extent, the denial of God by the agnostic is due to the soul's great disappointment in having been part of the various religions of the world and having been given false promises of heaven and salvation by the wolves in sheep's clothing. For when these souls have passed from the screen of life, they have not been ushered into the courts of heaven but have been greeted by angels of record and by Jesus and the Lords of Karma, who have explained to them that they have not met the full requirements of the Law and therefore must incarnate once again. These souls have then become angry against their teachers and when they incarnate again they become agnostics because their disappointment in their teachers has caused them to become disillusioned with God. Mrs. Prophet, may we assume that atheists and agnostics are devout souls? The ones I have known have been very devoted to a particular discipline, often the discipline of science. But they have not understood that science and religion are one. They have not understood that the God that is energy—that is the I AM THAT I AM, that is in the nucleus of the atom, which they would explore—is the same God who appeared in his Son Jesus Christ to Saul, who was himself a scientist and one trained in the law. I have found that when agnostics understand the path of initiation they become the greatest devotees. And this is why Hilarion, master of the fifth ray of science, is so concerned with working with atheists and agnostics. He understands that the real truth of the path of Christhood has been withheld from them. Do the disciples of truth have a special mantra? Behold, is living truth adored. That enters, filling hearts with awe. No man can shut forevermore. With blest Hilarion's ray of truth.